Located at the western end of the Costa del Sol, Estepona is a popular choice for many looking for great golf courses as well as fantastic golden beaches and an abundance of great night-life. Estepona is situated close to many superb golf courses such as Estepona Golf and Valderrama golf located in neighbouring Sotogrande. 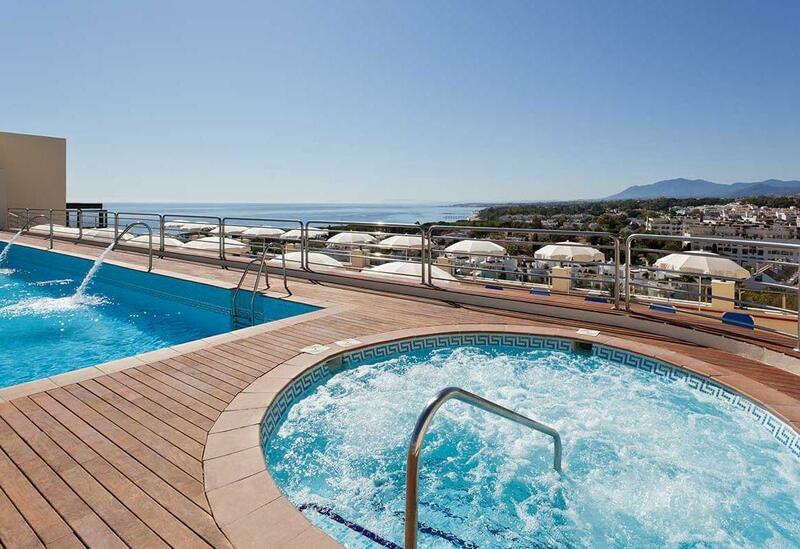 Hotel Cristobal is right in the heart of Marbella a very welcoming and bright hotel, with a warm and friendly service, from which you can enjoy spectacular views of the Alameda Park. Leave your car behind, as the location of Hotel San Cristóbal allows you to enjoy the beach, culture, leisure, recreation and gastronomy, all within walking distance. The hotel's new look, its spacious rooms and, most importantly, the warm and friendly service, guarantee that during your stay you will enjoy the best Price-Quality ratio the region has to offer. A wonderful 4-star hotel on the beach and between two golf courses, Hotel Guadalmina Spa & Golf Resort is perfect for a sun-drenched golf breaks. It’s a short drive to Marbella, and on-site there are four, upscale restaurants to choose from. Check out the elegant cocktail bar, relax at the beach club or chill out in the spa and pool. Big on extras, the hotel also has a free breakfast, gym, business centre, and free high-speed wi-fi. 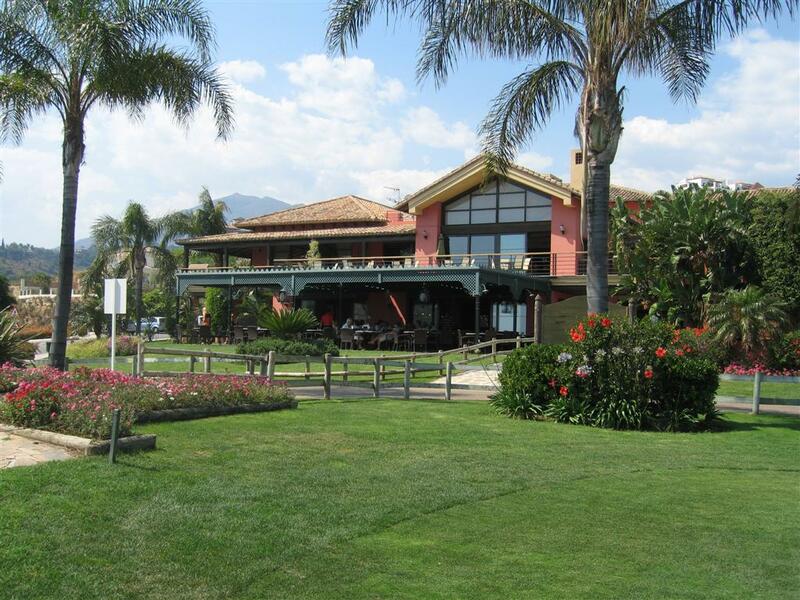 Serving excellent cuisine with magnificent views of the Guadalmina South Golf Course. Entirely renovated where guests can now enjoy even further typical Mediterranean cuisine for lunch and dinner during the summer season.Personalized for celebrating great events.Offers the possibility to enjoy a fresh cocktail, an appetizer or a quick snack on the wonderful terrace by the pool area. 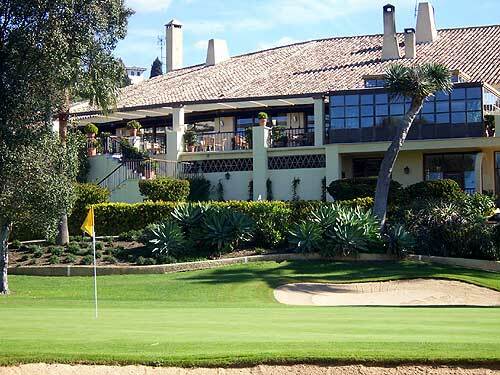 Rio Real Golf and Hotel is located in the very heart of the Río Real golf course, Río Real Golf Hotel is the leading Boutique Hotel in Marbella, in an authentic Andalusian setting. The hotel stands out for its elegant and contemporary comfort and was decorated by renowned interior designer Pascua Ortega. 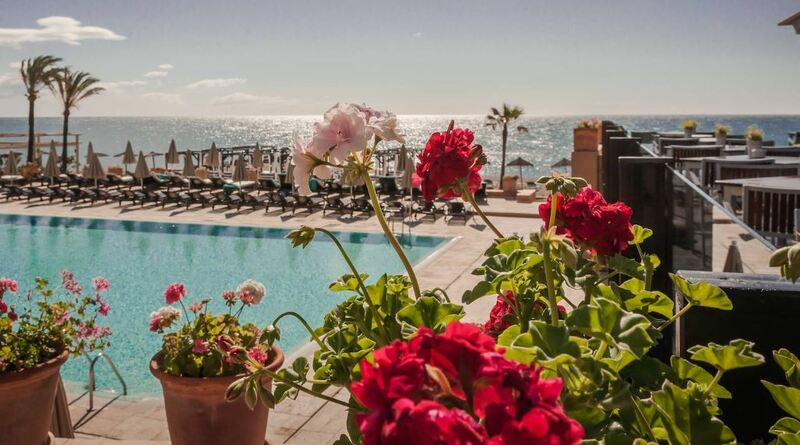 The hotel is located right on the beach front between the towns of Marbella and Estepona, and set in 50.000m2 of exotic sub-tropical gardens. On clear days, Gibraltar is clearly visible, as well as the African continent across the Straits of Gibraltar. Access to Malaga and Gibraltar airports is excellent.